The continued legalization of Cannabis across the world gives Canna-Curate and all Cannabis enthusiasts an opportunity to share ideas and come together as a community. According the the Washington Post, legalizing marijuana nationwide would create at least $132 billion in tax revenue and more than a million new jobs across the United States. Canna is committed to making this a reality for all Steemians and Cannabis enthusiasts by educating our community and eliminating the stigma attached to Cannabis cultivation and its use. As we grow, we also give an opportunity to entrepreneurs and others interested in networking and connecting, not only online but in real life. Our first annual Canna Steem-Fest is one of many events we have planned for the Canna-Curate Community. Once a year, we would like our community to come together and share in the joy that is Cannabis. For our first one we have chosen Portland as our host city. Oregon has been at the forefront of legalization, being the first state to decriminalize Cannabis which, according to Patrick Anderson, reduced the fine of possessing an ounce to $100 in 1973. In 1998, Oregon was the second state to allow Cannabis use for medicinal purposes and fully legalized by 2016. Cannabis use is ordinary and there is little to no stigma attached to it in Oregon, especially in Portland. Think of it as a beautiful dream where average people grow and consume organic cannabis grown in their own backyard. 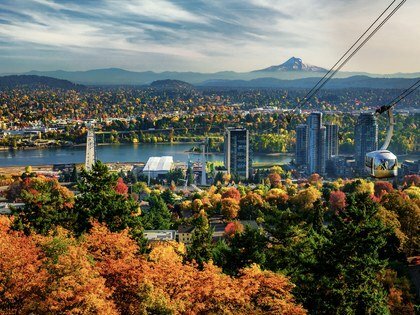 This is why we feel Portland is the perfect location for our very first Canna-Curate Steem-Fest. 20 dollars gets you in the door and a lifetime membership to NW Cannabis Club. We love Steem however both Steem and SBD payments are not available at the Cannabis Club. Please bring card or cash. Don't hesitate you have plenty of time to make hotel and travel arrangements. Hit that banner, to come network, and chill with like minded people. I am so down for this! Would be so cool to kick it with yall! it's looks like marijuana tree! This is awesome!! Hay if you guys need help with production stuffs... let me know, I'm close in Eugene would love to get involved. I literally, just declined a usual festival gig I have ever summer same time frame, about a half an hour ago. Then opened this up!! LOL! Love the multiverse @canna-curate ..
Sweet, hit me up in discord, and ill put you in touch with the guy in charge of all of this. Regardless of you help or not, i hope you join! I will think about it. From here its quite a journey. However law wise i think its a very good place to canna-steem-fest. Really hope to see you!! Your meetup has been included in the latest SoS Calendar of Steem Meetups & Events @ 23 February 2019. Please let me know if any of the details change, or if you know of any other similar events not yet on the listing. Hell yeah. This is amazing news to see. Hopefully in the future you can host In like Las vegas, or California's maybe! This is a fantastic idea and I am in full support for helping the event. I can even perform AND vend there potentially. I do have some concerns however moving forward, I am DMing you with details. Much love brother. hit me up on discord and we can chat about it. Hello @canna-curate! This is a friendly reminder that a Partiko user has just followed you! Congratulations! Portland has turned into a bit of a cesspool according to many reports. I hope there are no issues. This seems like a good event and the state as a whole seems to get a lot of freedoms correct. Cant judge a place by reports you see in the news. If that was the case, then might as well go live in a bunker the rest of your life. That's so true. Always remember that fear sells, and that "if it bleeds, it leads." I went to London in May and didn't get stabbed or mobbed by scooter, either! Don't worry about what you see on the news. Portland is a very nice place. Hope to see you there! Well then, lets party like its 1999!!!!! Portland is fine. I've lived here my entire life. $129 for a ticket? I'm cool. Good luck! 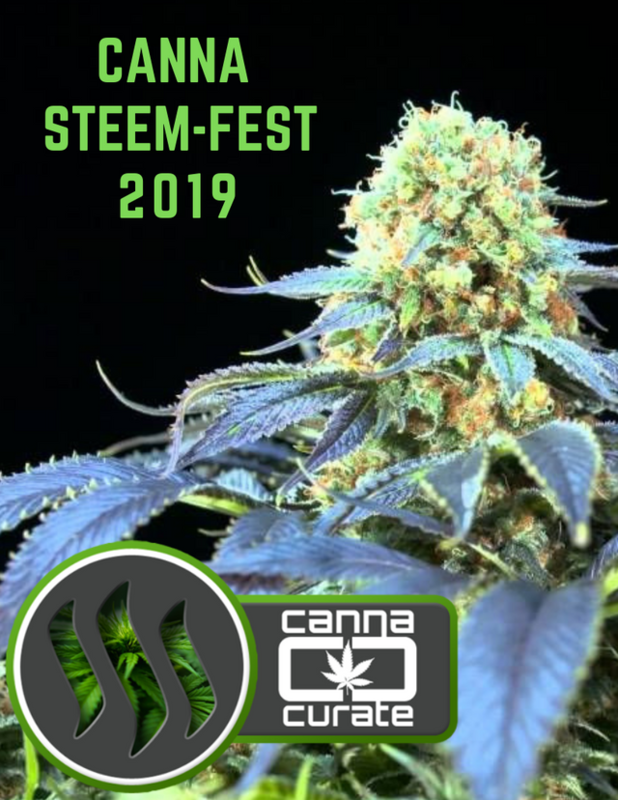 Congratulations on your first canna steem fest! It looks like its going to be a great event and nice location. Portland is beautiful! Thank you so much @jonyoudyer! You've been visited by @riverflows, on behalf Natural Medicine. Forgive us if we're being intrusive, but @theycallemedan has a challenge on for someone to win 20K delgation for the year! If you haven't voted already, please vote for @homesteaderscoop by clicking here, as we fully support what they do in their quest for an ethical marketplace. Did you know they even have a natural health section? If you'd like to support Natural Medicine on the Steem Blockchain, please join us on Discord, or delegate by clicking any of the links above! We're all about supporting those who write about natural healing, from herbs to yoga to being part of the natural world! Come join us! Hello @canna-curate! This is a friendly reminder that you have 3000 Partiko Points unclaimed in your Partiko account! 🎁 Hi @canna-curate! You have received 0.1 STEEM tip from @davedickeyyall!